The photographer's book features candid Hollywood portraits alongside everyday images. When photographer Steve Schapiro first arrived on the Lower East Side set of "The Godfather" in 1971, there were rumors floating around that Marlon Brando was not well. Moving closer to the action, he noticed an old man in an overcoat and hat talking to an assistant director with this gravelly, sick voice. The rumors must be true, he thought. "Suddenly," Schapiro recalled, "Brando turns to the crowd with this enormous electricity shooting out of his eyes and in his best 'On the Waterfront' accent said, 'I think there's someone with a camera out there.'" That stunning transformation was just one of many Oscar-worthy moments Schapiro has witnessed in his 50-year career working on the sets of such groundbreaking films as "Taxi Driver," "Midnight Cowboy" and "Chinatown." In "Steve Schapiro: Then and Now" (Hatje Cantz) the 78-year-old pairs candid photos and portraits of Hollywood celebrities alongside artists, musicians, civil rights activists and everyday people taken from the 1960s through 2011. "I see a lot of celebrity books that don't excite me because they're just portraits," said Schapiro on a call from his Chicago studio. "We wanted to bring pictures together that work against each other or with each other by interjecting things which weren't necessarily film-related." For example, Jane Fonda clad in aerobics attire at the height of her fitness craze juxtaposed next to sumo wrestlers in Chicago in 2010 or Dustin Hoffman in a midair jump placed next to Roman Polanski in a flying-nun pose from 1968. Of the nearly 150 photos, only 12 pictures have been published before, quite extraordinary for a photographer who has worked on more than 200 films and created 100 movie posters. The list of famous faces he's photographed reads like a history of the Academy Awards: Francis Ford Coppola, Jodie Foster, Sophia Loren, Martin Scorsese and nominee Robert De Niro, up for his third golden statuette at Sunday's ceremony. Whether it's a candid between-scenes shot or an intimate picture in the comfort of home, Schapiro's aim is to capture the spirit and sense of his subject. "I try to be a fly on the wall as much as possible," he said. "For me emotion is the strongest quality in a picture." One of the more interesting discoveries he made was an unearthed negative of a young Muhammad Ali (then known as Cassius Clay) meeting his future wife Lonnie for the first time in 1963. On assignment for Sports Illustrated, the black-and-white image Schapiro shot reveals a shy, ponytailed 6-year-old girl, just one of a gaggle of neighborhood kids hanging out on the stoop with Ali outside his parent's house in Kentucky. An awareness campaign to highlight the risks faced by journalists covering major international news is set to launch on the anniversary of the deaths of American war correspondent Marie Colvin and photographer Remi Ochlik, killed in the Syrian city of Homs last year. The idea for A Day Without News? arose within the journalism and media industry, by those that too often find themselves targeted by belligerents whilst reporting critical news to the world and that have lost too many friends who did not survive their last assignment. On August 15, 2012, at United Nations headquarters, in New York City, a panel discussion, “The Cost of Truth,” was held to introduce that year’s winners of the World Press Photo Awards, the largest and most prestigious annual photojournalism prizes. Several hundred were in attendance. Speakers included photographers Lynsey Addario and Michael Kamber; photo agency representatives Stephen Mayes and Aidan Sullivan; David Marshall, representative of the New York Office of the High Commissioner for Human Rights (OHCHR); and Maarten Koets, deputy managing director of World Press Photo. The panel discussed the alarming increase in the number of injuries, kidnappings and deaths of journalists – who seem not only to be more often the direct target of perpetrators, but also more vulnerable to such attacks due to advanced technology. Aidan posed the question whether there is a better way to legally protect journalists and make the world aware of the critical importance to do so. Despite the fact that it is officially a war crime to target journalists, there has been little respect for or enforcement of the international human rights laws when applied to journalists. And it doesn’t seem that the public recognizes the risk in governments failing to do so. That night, over drinks at photographer Steve Pyke’s New York bar, Kingston Hall, Aidan recalled a conversation he had had recently with the director general of the ICRC, Yves Daccord, about raising awareness of the dangers faced by journalists in conflict, starting from within the journalism and media community. Photographer Lynsey Addario, who was abducted in Libya in 2011, immediately warmed to the idea. She also mentioned that such an effort might help remind people of the recent losses of journalists such as Colvin, Hetherington, Hondros, and Ochlik. Also on hand that day was Vanity Fair’s David Friend, who would coin the phrase, “A Day Without News?”. "A" is for Atget, "B" is for Baltz and "C" is for come join Katherine Ware, our New Mexico Museum of Art curator of photography, for the official launch of FOCA + P (the Friends of Contemporary Art Plus Photography). Ware will take us on a journey through the museum's photography holdings and talk about collecting strategies, future exhibitions, and special projects. Come learn about photography and have a chance to join this exciting friends group. St. Francis Auditorium, inside the Museum of Art. image: Eugène Atget, Shop, avenue des Gobelins, 1925 (printed by Berenice Abbott c 1930). Collection of the New Mexico Museum of Art. Demi’s pregnant belly. Whoopi’s smile sinking into a bath of milk. And, of course, John curled around Yoko in fetal submission. But after 44 years of shooting Mick and Keith, the Blues Brothers and a bleeding Pete Townshend, Leibovitz has focused her lens on her own personal “Pilgrimage.” More centered on place and the shadows of their former occupants, these are not the carefully staged and lit portraits associated with the photographer’s rock ‘n’ roll glory years. There are no people here. “Annie Leibovitz: Pilgrimage” opens Friday at the Georgia O’Keeffe Museum in Santa Fe. Leibovitz’s lens leads viewers from O’Keeffe’s Abiquiu home to Elvis’ gun-shot TV set, to Thoreau’s Walden Pond and Virginia Woolf’s writing desk. Arranged as a kind of travelogue, the show includes 57 images taken from the south of England to the Yosemite Valley. In the past, she had always worked fettered by assignments. For perhaps the first time, she photographed images only when she felt their seduction. “When you’re a photographer, you don’t stop seeing,” she said. “Stuff gets a hell of a lot more interesting, and you’re better than ever at what you do. It’s reflected in this work. The images span the rhythms of dramatic landscapes (Niagra Falls, Old Faithful), as well as dimly lit interiors –– as the objects and talismans of past lives. The series germinated from a set of serendipitous encounters that led Leibovitz from accepting the Centenary Medal of the Royal Photographic Society to traveling to Monk’s House, the home of Vanessa Bell, Woolf’s sister, where Leibovitz entered the author’s writing studio to discover both the author’s battered desk and glasses. From there, she traveled to London, where she photographed Sigmund Freud’s ornate couch after finding it stuffed in a closet. She learned it had been his deathbed, as World War II air-raid alarms roared throughout the neighborhood. “I was hooked,” she said. “I felt myself totally seduced into the imagery. Stateside, she attended the bar mitzvah of her cousin’s son in Amherst, Mass. Her sister suggested they visit Emily Dickinson’s house, as well as Emily’s brother Austin’s house next door. Armed with a digital camera, Leibovitz was amazed by the clarity with which it captured the dimly lit corners. She shot Emily’s herbarium of plant specimens, as well as her eyelet-strewn white dress, stored behind Plexiglas. Dickinson had been the favorite poet of Leibovitz’s late partner Susan Sontag, who died in 2004. From there, Leibovitz came up with an initial list of 12 places. It would eventually swell to encompass 27. A visit to the Lincoln Memorial turned into a search for the former president that led her through Kentucky, Indiana and finally to Illinois. 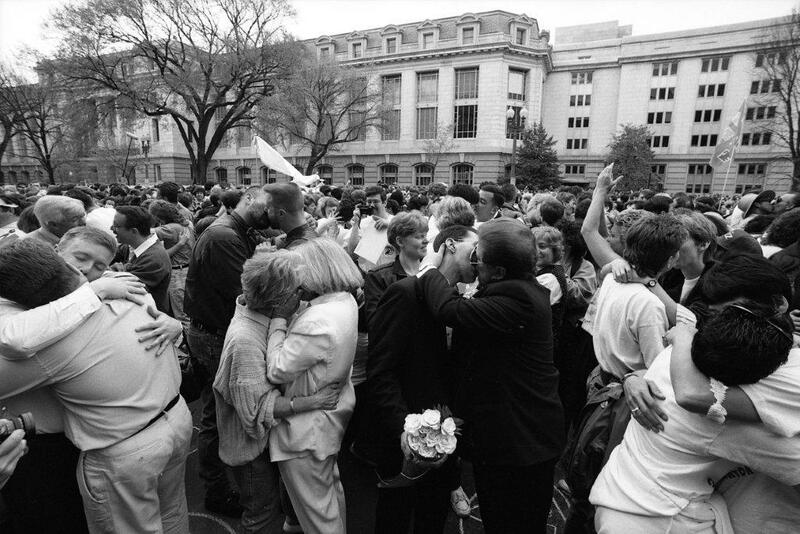 “I didn’t know why it moved me to tears,” she said of the Washington, D.C., landmark. But then she realized Lincoln’s shadow traced a through line from Marian Anderson to Eleanor Roosevelt to Martin Luther King Jr.
Roosevelt had invited Anderson to the White House to sing after she was banned from Constitution Hall. She shot the top hat and bloodstained gloves Lincoln wore to Ford’s Theatre, as well as a first draft of the Gettysburg Address. Georgia O’Keeffe would become a kind of touchstone. Leibovitz originally discovered the artist through the famous portraits taken of her by her husband, Alfred Stieglitz. Most magazine assignments give the photographer just 15 minutes to work, she added. When museum staff members escorted Leibovitz to O’Keeffe’s famous Black Place, she couldn’t take her eyes off the rock-scattered ground. Suddenly, she understood why the artist was always photographed bent over and staring at the soil –– she was looking for rocks. “She was collecting the rocks like seashells,” Leibovitz said. The photographer was equally mesmerized by a divided drawer in the Georgia O’Keeffe Research Center containing the artist’s pastels, which she had made herself. She found herself quietly weeping over the torn bedsheets in O’Keeffe’s bedroom. 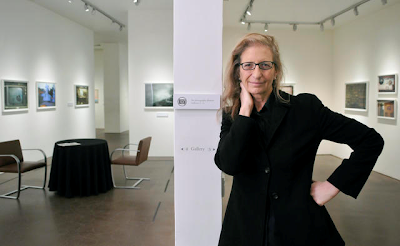 Leibovitz’s career took off when she was hired by Rolling Stone magazine at the age of 18. She was still a student at the San Francisco Art Institute, where the emphasis was on the work of Robert Frank and Henri Cartier-Bresson. Rolling Stone editor Jann Wenner named her the magazine’s photo chief in 1973, a job she held for 10 years. She was just 24 when she worked as the Rolling Stones’ tour photographer in 1975. Her intimate photographs of rock royalty helped define the magazine’s look. She joined the revived Vanity Fair in 1983. Leibovitz has long said the Rolling Stones tour was the genesis of her own drug addiction, from which she later recovered. Leibovitz’s next book will be about artists working in their studios. She can’t think of any celebrities she would want to shoot today. But she is not averse to capturing the pop stars of today — even Justin Bieber. 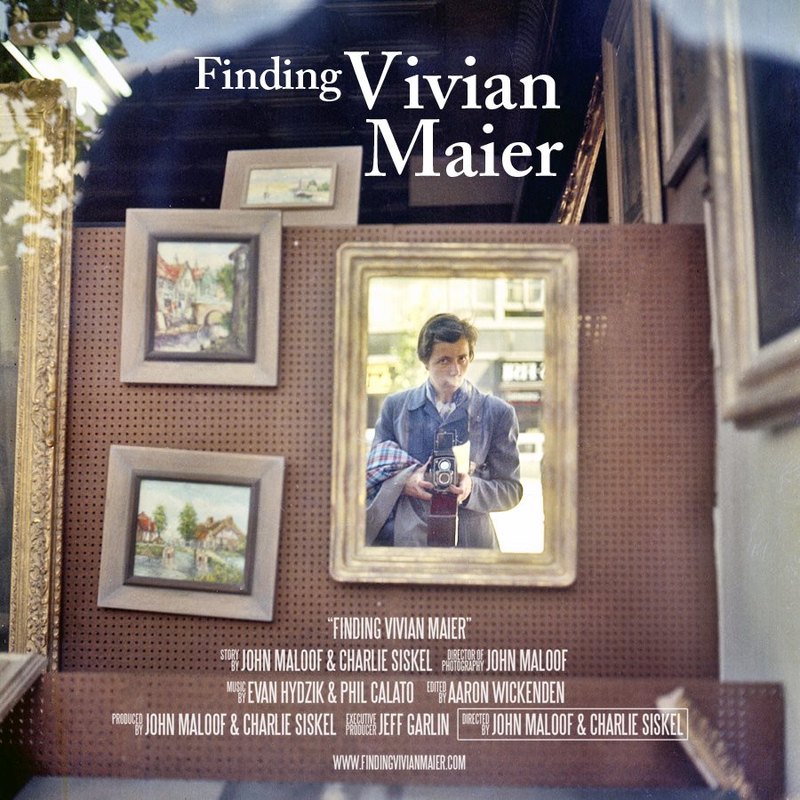 We are very happy to officially announce the feature documentary Finding Vivian Maier which tells the incredible true story behind the mystery of her hidden life. We are excited to share the official trailer with you for the first time. The film will be ready later this year. During the Berlin Film Festival this week Submarine has concluded presales at Berlin to SVT (Swedish TV), AVRO (Dutch TV), Swiss TV, all rights in Canada to Films We Like, and all rights in Italy to Feltrinelli Films. Further licensing deals and a domestic partner will be announced shortly. See more about this news in Variety Magazine. Vivian Maier was a mystery even to those who knew her. A secretive nanny in the wealthy suburbs of Chicago, she died in 2009 and would have been forgotten. But John Maloof, an amateur historian, uncovered thousands of negatives at a storage locker auction and changed history. Now, Vivian Maier is hailed as one of the greatest 20th Century photographers along with Diane Arbus Robert Frank, Henri Cartier-Bresson and Weegee. And that is just where the story begins. Finding Vivian Maier follows the filmmakers as they unearth Vivian's story, combing through thousands of negatives and a mountain of other material (including hundreds of hours of Super 8 film footage and audio recordings) left behind in Maier's storage lockers. As the filmmakers track down an odd collection of parents who hired her, children she cared for, store owners, movie theater operators and curious neighbors who remember her, the story that emerges goes beyond cliches of the undiscovered artist and offers a portrait that is at times bewildering and troubling. Maier's story pushes us to ask as many questions about ourselves as it does about her. 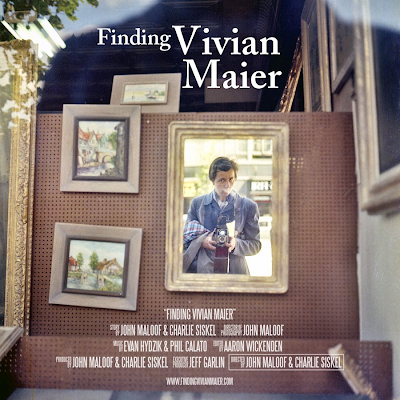 Finding Vivian Maier was Directed & Produced by John Maloof and Charlie Siskel (Bowling for Columbine, Religulous) who are Chicago natives. John once worked the swap meets and storage lockers that led to the discovery of Vivian's photographs and Charlie grew up in the North Shore neighborhoods where Vivian was a nanny. 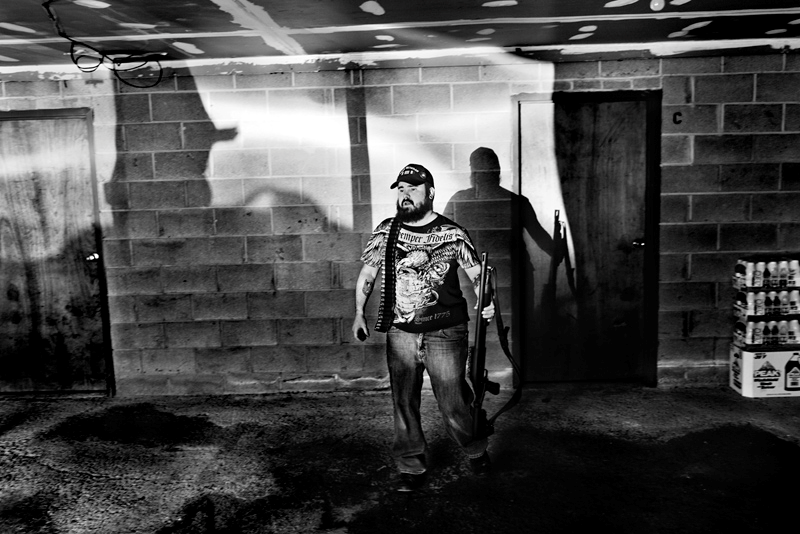 John Maloof is a filmmaker and photographer. Since the discovery of Vivian's work, he is now the chief curator of her photographs. In 2008 he established the Maloof Collection with the purpose of preserving and making publicly available the work of Vivian Maier. Jeff Garlin, an Executive Producer on the film, is a producer, writer, director and actor whose credits include Curb Your Enthusiasm. Charles Siskel stated, "Vivian's story is as powerful as her art. We are excited to work with the very best labels to share Vivian's life and work with audiences around the world. Finding Vivian Maier, we hope, will bring her the recognition she deserves." It’s easy to forget — in between work, errands, attempts at exercise and the many other obligations of daily life — just how much there is to do in Santa Fe. Much of it is either free or inexpensive, too. To take advantage, though, people have to remember to get out and soak up our city. Today, for example, the Georgia O’Keeffe Museum opens Annie Leibovitz: Pilgrimage, a series of photos by the famed photographer, shifting the focus from her usual portraits to objects. It’s the rare opportunity to see a photographer as she reassesses her work — whether in capturing the landscapes that inspired Georgia O’Keeffe, the darkroom where Ansel Adams worked or even photographing a gunshot television that Elvis Presley once owned. The opening is just the start of a busy weekend — on Sunday, HBO star and satirist Bill Maher is playing the convention center. Usually, the closest the funny guy gets to Santa Fe is the occasional stop in Albuquerque. He is biting in his criticism of politicians and other cultural shibboleths, and expect plenty of pope jokes — if you watch his show, Real Time with Bill Maher, or have heard his jokes, you’ll remember that Maher detests organized religion. It might be offensive to some, but it likely will make them laugh, too. Of course, you might be among the lucky ones who scored tickets to hear artist Shepard Fairey speak Sunday night. He’s at the Santa Fe University of Art and Design in a sold-out show — the lecture is free, but all the tickets have been handed out by the university, either to their students, high-school art students or the general public. Even better for Santa Fe, Fairey will be staying next week to work on a public art project at the school. Best known to the general public as the man who created the Obama Hope poster back in 2008, Fairey also is one of the more influential contemporary artists working today. He is appearing as part of the university’s Artists for Social Change series. That he is coming to Santa Fe is another reminder of why keeping a vibrant university in town mattered — the conversations, the interactions between town and gown, all of the back and forth, help make Santa Fe a more interesting place. That, after Fairey leaves, the college will be richer — with a permanent outdoor mural — is exciting news for all of Santa Fe. What’s more, it will be a permanent reminder of the smart and interesting people who visit our town, making it a more enjoyable place for those of us blessed to call it home. As photographer Leibovitz put it so well earlier this week: “The problem with coming to Santa Fe is that you never want to leave.” We’re here, so we might as well make the most of it. Related: Of course, we would like to suggest that you inclide a visit to the exhibition "Sid Avery: the Art of The Hollywood Snapshot", on view through March 31. Forman sat down with Emily Rooney to talk about bearing witness to the news, being the first on the scene, and the importance of photography. As a kid, I [followed] the sirens, the blue lights, the red lights. And finally, when I was around eighteen, my father said, “You go to all these things — why don’t you take a camera?” I thought I was going to be a firefighter. But he gave me a camera, and I got interested in photography, and I was very lucky. You don’t have the access. I get to a fire, forget yellow tape — no matter what it is — you just don’t have the access that we had in the ‘60s, the ‘70s, the ‘80s. Everything has changed. I blame [changes in access] on O.J. Simpson, because everything changed after the mistakes they made at the scene. I’m self publishing — I know nothing about publishing … Anything you want to do in this digital age, you can become it. Do I like everyone taking pictures? I’m beat before I get there. No, I don’t like it … I’d like to think my framing is better than the guy with the iPhone, or the woman with the iPhone, but they have the image. Everything gets used. You cover news … with a still camera or a video camera. You use a Phillips screwdriver or a standard screwdriver. I’m still covering news, and that’s the most important thing to me. On Feb 11, 1990 Nelson Mandela, the South African anti-apartheid activist walked out of prison a free man after 27 years behind bars. "One morning my boss said, 'Look, we've got a bunch of British musicians coming into town. They're called the Beatles.'" Eppridge was at John F. Kennedy airport on February 7, 1964 for the arrival of The Beatles. He continued to photograph The Beatles that day, and over the next several days. He was invited to come up to their room at the Plaza Hotel and "stick with them." "These were four very fine young gentlemen, and great fun to be around," Eppridge recalls. After he introduced himself to Ringo, who consulted with John, the group asked what he wanted them to do while being photographed for Life. "I'm not going to ask you to do a thing," was Eppridge's reply. "I just want to be here." Traveling with the Beatles, forced by a snowstorm to take the train to Washington, Eppridge captured some wonderfully fun and memorable pictures. He was with them in Central Park and at the Ed Sullivan Show for both the rehearsal and the historic performance, and photographed their Carnegie Hall performance on February 12, 1964. There is a wistful melancholy about viewing the photographs that Sid Avery took during Hollywood’s most recent golden age, the 1940s to 1960s. Audrey Hepburn has bicycled up to the camera to show off her rather smug Cairn terrier. Steve McQueen is admiring his new pistol, as well as his new Jaguar. Marlon Brando has stopped playing his bongo drums long enough to give the photographer a pensive pose. Elizabeth Taylor is stretching her shoulders into the sun on the set of “Giant.” Rock Hudson has stepped out of the shower and gleefully grabbed a ringing phone – he looks very gay, in every sense of that overused word. Dean Martin, like his contemporaries, is happy and self-satisfied as he readies a song for recording. All of them are shining with health and youth and success, with not a thought for any disease or age that might lie ahead. Only Frank Sinatra looks slightly wary, as if he sensed perhaps, on the edge of the frame, some intimation of mortality. These and other photographs by the late Hollywood photographer Sid Avery, fill a major exhibition opening today at Monroe Gallery of Photography on Don Gaspar. The exhibition, which will be up through March 24, is being opened concurrent with the publication of a new book: “The Art of the Hollywood Snapshot.” Avery’s son Ron, curator and archivist of his father’s work, will attend the public reception. 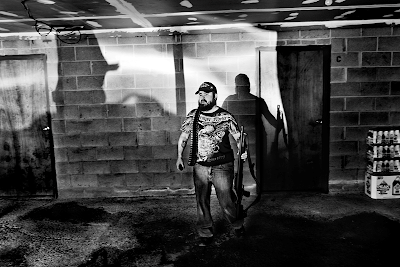 Monroe Gallery of Photography, owned by Sidney and Michelle Monroe, specializes in classic black and white photography with an emphasis on humanist and photojournalist imagery. The gallery features work by more than 50 renowned photographers and also represents a select group of contemporary and emerging photographers. The Avery show, of which all prints are for sale, is a major coup, Sidney Monroe said. “He was one of the greatest names in Hollywood photography in the 1950s and ’60s,” Monroe said. The book, he added, “is a sumptuous, long-overdue tribute to Avery’s prolific talent.” The text of the book was written by Ron Avery. It was edited by Tony Nourmand and additional text was written by Alison Elangasinghe and Bruce McBroom. The design is by Graham Marsh. Avery (1918 – 2002) was born in Akron, Ohio, and introduced to photography when he was 7 years old. By the time he was 20, he had begun to photograph celebrities in nightclubs for fan magazines. In 1939, at 21, he opened his own Hollywood studio for portraiture and publicity photographs. From 1941 to 1945, Avery was assigned to the Pictorial Service in the U.S. Army Signal Corps in London and Paris. In London, the young man supervised the Army’s official photographic history of the war. In 1946, Avery re-established his studio in Hollywood, where he got celebrity portrait assignments from Life magazine and the Saturday Evening Post. He also became the photography editor of Photoplay, the movie magazine of the time. In 1947, while he was continuing to contribute to numerous magazines, he formed Avery and Associates to photograph commercial accounts. Avery directed television commercials and developed innovative special effects. In 1985, Avery retired from directing and producing TV commercials to begin assembling the Motion Picture and Television Photographic Archive, which many regard as his greatest legacy. The foundation’s purpose was to preserve, document and exhibit the work of notable photographers. His own archive, called mptvimages, now has more than a million historic Hollywood images on file and is recognized as one of the great archives of Hollywood imagery. Ron Avery runs the archive today. The new book was created entirely from its depths and includes never-before-seen pictures, contact sheets and other materials. Avery was best known for capturing the private moments of legendary Hollywood celebrities like Taylor, Hudson, James Dean, Brando, Humphrey Bogart and Hepburn, who were showcased in his book, “Hollywood at Home.” He was the only photographer to shoot both the original 1960 cast of “Ocean’s Eleven” and the cast of the 2001 remake, recreating his iconic group shot around a pool table. He believed in capturing moments. Avery taught at the University of California at Los Angeles and lectured at several other institutions and at museums. His own works are included in numerous museums and private collections. Sid Avery died in 2002 at age 84. His work, however, lives on – and in that way, so do his subjects. WHEN: Today through March 24; opening reception 5-7 p.m. today.